Daniela was born and raised in Cancun, Mexico. While living in Cancun Daniela and her family rescued over 50 cats which helped further develop her passion for helping animals. 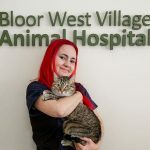 She is working towards her BSc majoring in Wildlife and Conservation at the University of Guelph. 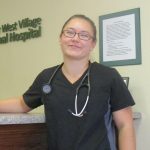 She wants to pursue a career as a DVM in the animal Endocrinology research field. Daniela has 4 cats, and a 17 year old retired Standardbred horse named Hidalgo.